There has been much buzz for years surrounding the launching of finally experiencing “waterfront living” in HDB flats. And Waterway Terraces is the very first public housing along the My Waterway@Punggol. 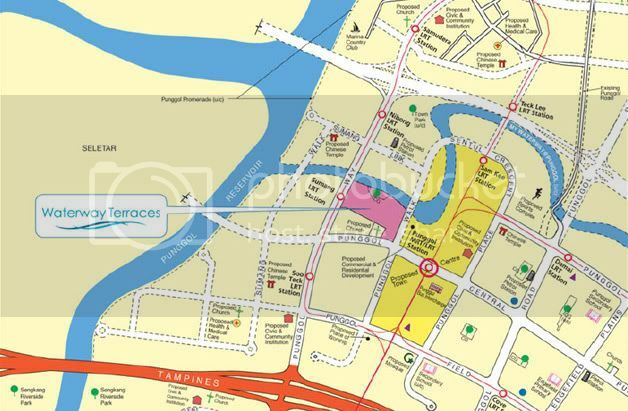 Waterway Terraces is a premium BTO that is located along the Punggol Walk and is enviably right next to the Punggol MRT/LRT and a few steps only to the upcoming one and only legitimate mall in the area called Waterway Point. The most striking feature of this development is its cascading roof gardens that are inspired by the terraced rice fields of Southeast Asia. These roof gardens are lush green spaces where both the residents can relax and enjoy the scenery from above. Visitors are also allowed access to these roof gardens, as they will be made open to the public. Some roof gardens even have amenities such as playground and fitness stations for the young and the adult to do their activities with a stunning view. This development sets the tone for an eco-friendly future of Punggol town with green features such as the facades are designed to minimize heat gain or the use of solar power to supplement the lighting needs at the common areas or the provision of compost bins and separate recycling refuse chutes. Waterway Terraces I is pretty dense but with a huge courtyard. There are about 1,072 units with 3, 4 and 5-room premium flats. The 4 and 5-room units come with balconies and are facing the waterway. These units however are considered to be the highest-priced in the Punggol estate thus far. A typical 3-room unit with a size of around 65 sqm is pegged at around $186,000-$237,000 while a 4-room unit with a size of about 90 sqm can go between $300,000-$376,000. A premium 5-room flat with a size of about 110 sqm can fetch for $374,000-$458,000. 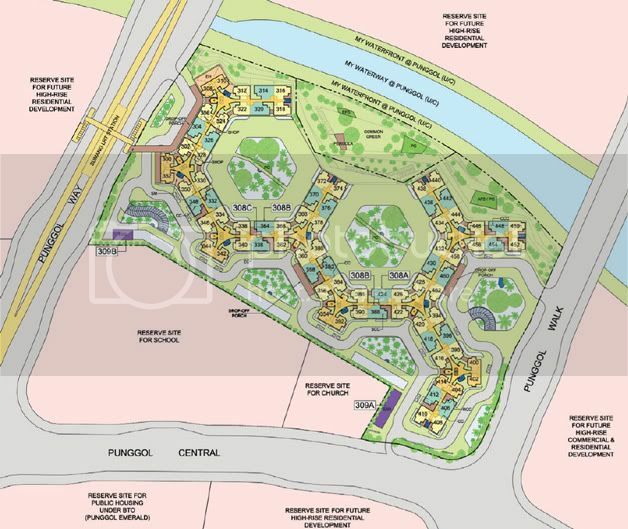 Facilities such as eating houses, a supermarket, a Resident’s Community Centre, student care centre, a child care centre and an edcuational centre can all be found within the development. Carpark is underground and there will be lifts going straigh to the residents’ units. Waterway Terraces I is expected to finish in March 2015. The progress of the construction as at September, 2014 is seen in the pic below. congrats to the residents getting their keys!